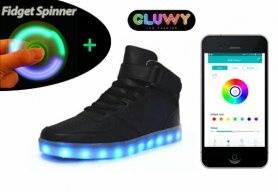 LED glowing black sneakers - a mobile application to change colors. 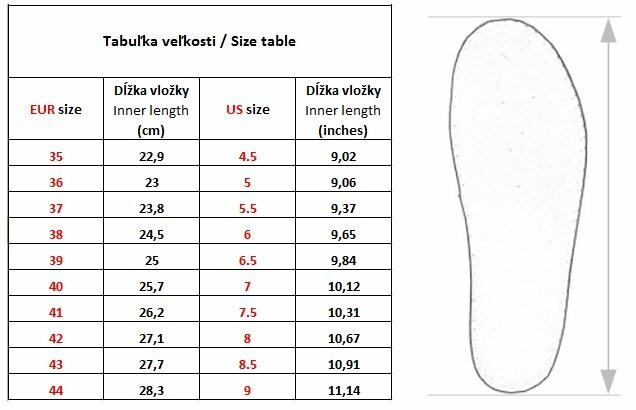 The function of Beat Detection allows sneakers to become sensitive to the sounds and react to sounds. 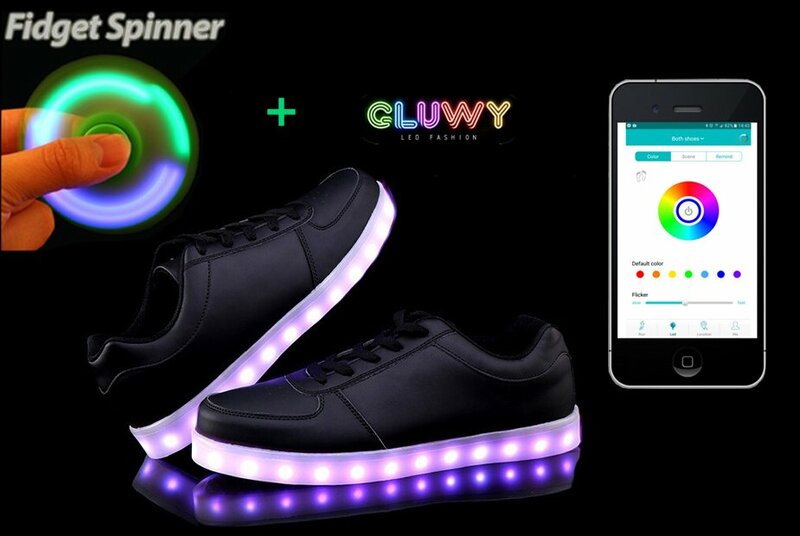 LED glowing black sneakers - switching of colors and flashing modes via the mobile application. These new sneakers you can simply pair via Bluetooth with your mobile phone and by using the app (for Android or iOS) you can change the colors of lighting or flashing modes. Everything is very simple. Sneakers are the latest tweaks in today's fashion world of young people. 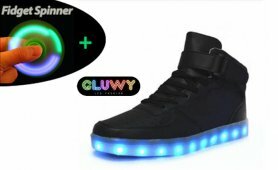 With luminous sneakers you will certainly shine at each party, disco or festival. 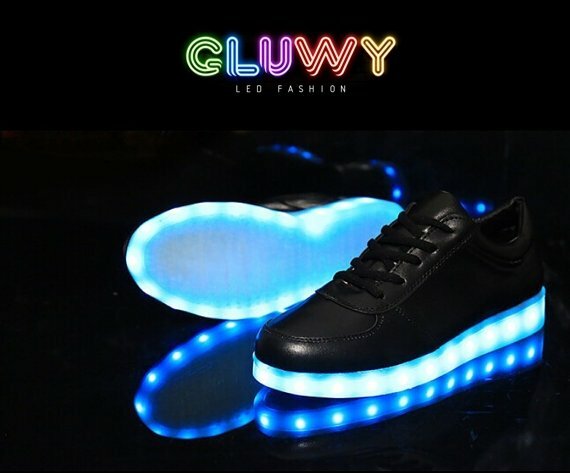 Therefore, if you like to be the center of attention and you want to shine, this COOL flashing sneakers are the right choice for you. 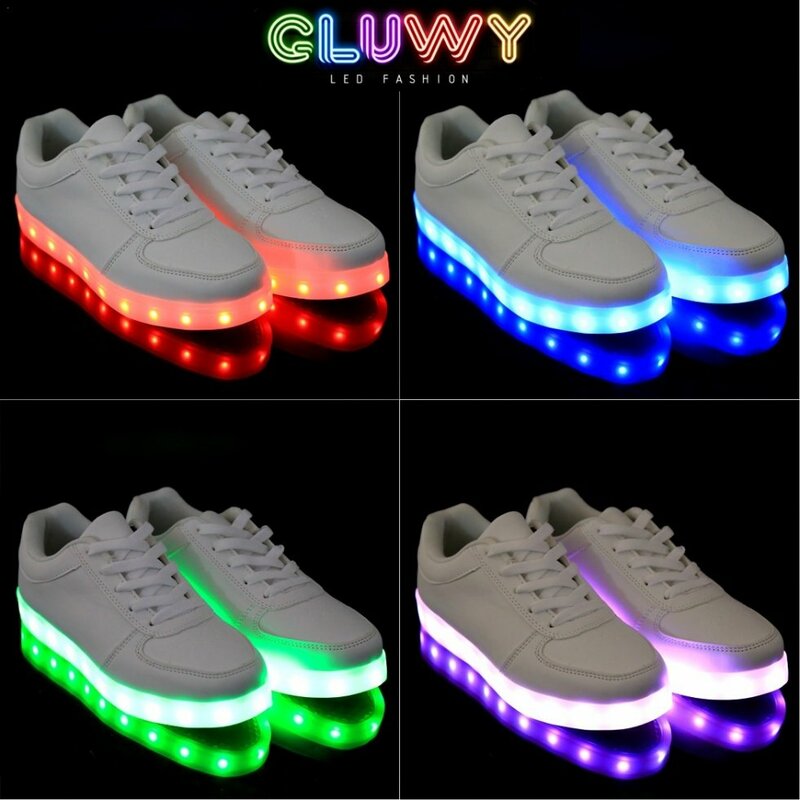 Men's and women's universal glowing sneakers or LED shoes. 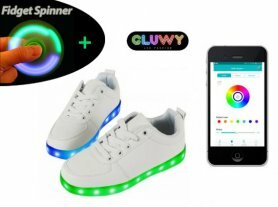 Shoe sole of the each LED shoe can light or flash with a different color, what you can simply customize by your clothes or mood. You can choose from up to 11 lighting modes (different colors + style of lighting). 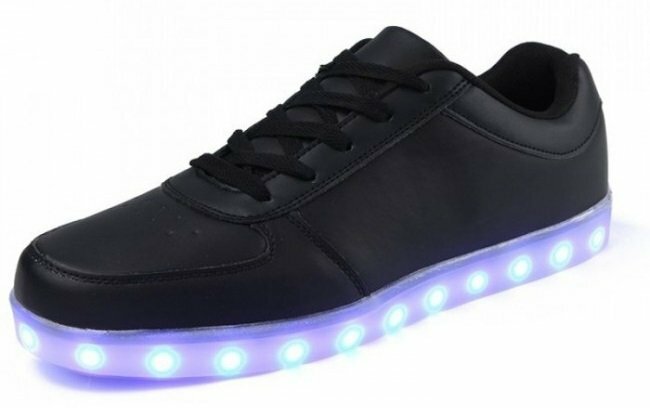 Each sneaker is equipped with a USB port through which you can charge your sneakers for 2 hours with the included USB cable. 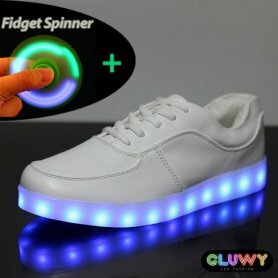 Battery life is up to 10 hours.